“BR fans are the only ones I ever read about that apparently may walk away because they have had a bad season” …. but where have you read this?? Mike mentions it in his article but he’s hardly an authority you accept? Roars average is 9,452 with one game to come this season. That’s down from a long-term 13k average in line with what must European clubs would experience – you win average crowds go up, you lose they go down. I thought Davies did an exceptional post-game interview, very frank and a genuine insight into what it’s like coaching and playing young kids. Going in to the match I was hoping our fast youngsters would give Topor-Stanley a hard time but he was fantastic, it goes to show the value of experience as he out foxed them all. Technically the second poor season in a row. But there’s no evidence Roar fans have decided “enough is enough” – more like “it is what it is”; it poured with rain all day on Saturday and we still pulled a crowd City and Nix would be happy with and we’re still running the 4th highest average in the competition. This has been a god awful season but you’ll still see a five-figure crowd there on Thursday to see it off. It’s a very good question “what does it say about Melb City as a football club” but it’s a question that needs answering, not stepping over, and it would be helpful if some Melbourne based journo’s could do some digging. – Joyce doesn’t select which players to sign, the club do. – Joyce doesn’t decide which players to let go, the club do. – Joyce didn’t decide to sideline Fornaroli, the club did. – Joyce doesn’t even decide which players to play, the club do eg Arzani was promoted to the first team by the back office not by Joyce. If all the above is true, Joyce’s job is to play the hand he’s dealt by the club and nothing more. Luck always plays a part, and while it makes little or no difference between 1st and 10th place it certainly does between 1st and 2nd place. I was using the comment to illustrate that about 1/3rd of countries don’t use a “first past the post system”. It would be completely disingenuous of you to suggest I meant otherwise lol. Japan holds some good lessons for us. They are incorrectly lauded as the best team. There’s way too much luck in sport to be sure who finishes top of the table is actually the best team. It’s best not to try and speak for “every football fan” though – the opinions out there are very diverse. The move to 3 points for a win (not 2) was the start of a subtle shift away from the search for the best team to something different, finals are no different. Champions are not “best” … they’ve just won the competition under the rules in play at that time. Strikers show no evidence of having any support base what so ever, same with City. Olympic, Pride and Lions seem to have the committed fans. yeah right, being a Wanderers supporter you might want to keep your head down lol. ???? It’s ignorance and stupidly to assume that Champions have to be the best team. Champions don’t have to be the best team, and very often in football they aren’t. I said about a third of countries uses some form of finals systems and (in the context of my comment) not the “first past the post system” favoured in many countries – in past debates on this topic (which we have every 12 months on this site) people mistakingly point to “first past the post” system as the “standard” system when it’s clearly not standard. As there is no “one way” of doing things and there is no “standard football system” for determining who the champions should be, as an objection to Australia’s finals system it can’t be used. Whether the system to determine champions should be a knock out system as we have, or some form of mini-group as Scotland do, or one of half a dozen alternatives is a debate worth having (I’d personally favour the top 4 playing each other twice more to determine the eventual champions plus I quite like the idea of the opening/closing competitions with a January break that I think you once proposed). The other thing is the NSL clubs before weren’t “giants” either. And compared to the following that A League club’s now have the question would be, do these clubs have something to worry about eg can South be anything more than another Heart now Victory are there? I’d hope Championship/HAL can provide a platform for all clubs to grow but the authors premise is the current fan base will choose one or the other. Football would do well to understand the Victorian love of watching sport live. Brings in to sharp focus just how bad Heart/City have been that a State that would turn out in numbers to watch two cockroaches racing won’t turn out to see them. Yeah, I’d rather win a league than finish second or worse and rely on play offs. And I’d feel a whole lot better if Glory just picked up a $1,000,000 cheque for winning the Plate giving the achievement financial significance and were now playing for a second $1,000,000 cheque and to be crowned champions. I just think people who oppose finals football get their knickers in a twist over something that’s not worth it. Glory should sin the whole thing but they’re going to have to get past SFC or Victory to do it. Nothing wrong with that imo. There is this false belief that the Champions have to be “the best team” which is not true, history shows us that champions are anointed “the best” after they are crowned champions and how they got there becomes largely irrelevant even in a “first past the post” system. Right now who is the better team between Man City and Liverpool? In a little over a months time history will tell us which one it is by virtue of who is crowned champions – but who becomes champions is more than likely going to be dictated in the next few weeks by a fortunate bounce of the ball, a tight call by the officials, an injury to a key player in your team, your opponents, or in the team that you or your opponent face. All our finals system does is amplify this period of necessary good fortune (Victory and the VAR last year for example) – but you don’t have to be the best, never have been and it’s a false premise to argue otherwise. About a third of world football has finals so it’s not even an Australian thing (we didn’t even invent it). And in England where the EPL will crown champions in a first past the post system, the less popular Union competition will use a finals system to crown champions. Their league averages 14k but their Grand Final gets 82,000 … it’s a thing less popular competitions have to do to get attention and grow the sport. Don’t we want attention for football and to grow the sport? The only mistake we have made is to minimise the significance of the Premiership, but even that is changing. By the time the second division launches pretty much anyone under 30 won’t remember the NSL and it’s clubs. And given the scant coverage it received few over 30 won’t have experienced it or have fond memories. So it won’t be a case of “thank god you’re back” more a case of “who the heck are you and why would I support a second string competition again??”. That is the reality – and Div 2 will face the same challenges the rest of football faces: not enough of anything, not enough money coming in, few sponsors, little media coverage (the HAL rarely gets a mention so what chance has a second division? ), small crowds and the usual problem of being swamped by AFL and NRL at almost every turn. I’m a big supporter of both the pyramid and pro/rel. but on their own they will not grow the sport. It’s nice you talk about the interest the race for promotion will bring, but what about the disinterest not being in that race will bring? Mid table sides playing to a few hundred fans and a handful of viewers on social media? We are a football nation – but only when it comes to playing our great sport, not when it comes to watching it live at the ground or on tv. This is a conundrum football as a whole must fix …. 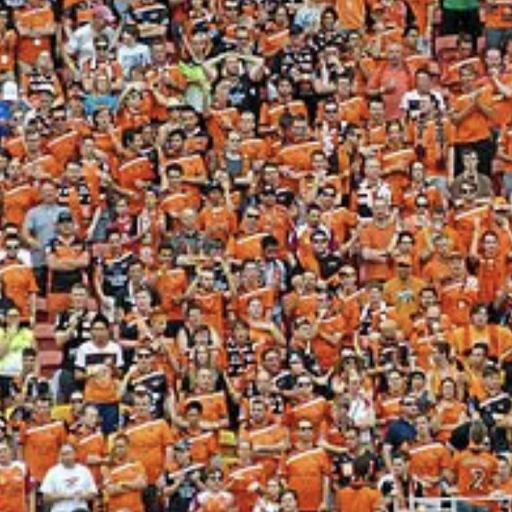 the future three divisions must grow the game, must attract more fans, not merely move them around from one club to another as you seem to hope. This is so disingenuous, a deal has already been done and the whole of the football world either knows it or at least suspects it. These constant attempts to “stage manage” the message are quite frankly getting embarrassing. Dead set certainty Rpar won’t win this weekend, seems to go the opposite way when everyone tips for or against them lol. Roar 7, Jets 2 (no one older than 22 to score). I don’t think I am being a bit harsh. There is a long list of poor or under performing coaches (I don’t need to repeat the list do I?). People criticise Roar for not hiring a replacement by now, the simple question is name me 2-3 coaches who could have been hired right now? The FFA have a party to play. They got scared of active support and over reacted. If you’re not sure just try taking a home made banner into a ground this weekend. It’s a fun killer.